SPOKANE, WA. December 5, 2017: Planet Turf, (www.planetturfusa.com) a company providing turf and ornamental maintenance products and services, announced today that it has named Justin Ruiz, 39, Regional Turfgrass Sales Specialist for the Pacific Northwest. He will be living in western Washington and serving customers in Washington, Alaska, Oregon and Canada. “Justin’s experience and education give him the skills and knowledge needed to serve our customers at the highest level.” Says Jim Connolly, President of Planet Turf. Ruiz graduated from Oregon State University with a bachelors in horticulture and turf, and received his Master’s Degree in agriculture from Washington State University. He has over 14 years of experience as a golf course superintendent and is a popular guest speaker at numerous industry association conferences. “We are fortunate to have Justin join the Planet Turf team.” Adds Connolly, President of Planet Turf. Planet Turf provides solutions to turfgrass and ornamental management challenges by providing innovative products combined with scientific testing and continual monitoring of plant and soil health. Planet Turf is the exclusive supplier of United Turf Alliance products (www.utaarmortech.com) and carries a full line of proprietary foliar fertilizers and other nutrient and bio-stimulants that are designed to improve nutrient uptake efficiency, reduce stress related disease, and assist in developing healthier turfgrass. 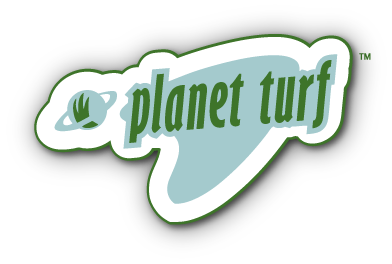 Planet Turf distributes its products in the Pacific Northwest, Canada, Micronesia, and Asia. Justin Ruiz brings his knowledge and skill to Planet Turf – Let’s talk turf.